In 1978 I was approached by Peter Dews, the newly appointed Artistic Director at Chichester Festival Theatre, with a view to providing a Christmas production. 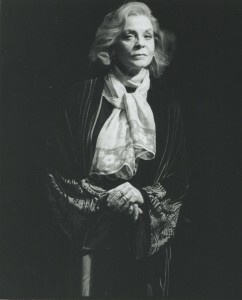 Peter was a celebrated theatre and television director. 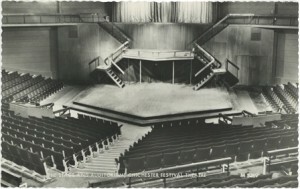 As it turned out, thanks to Peter, Chichester Festival Theatre became the venue for the 10th anniversary production of The Owl and the Pussycat Went to See… based on the verses and stories of Edward Lear. 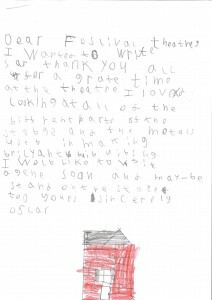 This was the show, co-written with Sheila Ruskin, that had convinced me, when I saw a week of performances at the Swan Theatre in Worcester, that children’s theatre was something I wanted to concentrate on. The first production of Owl at Worcester was directed by Mick Hughes, who not only became a famous lighting designer, but supervised the lighting for many Chichester productions. 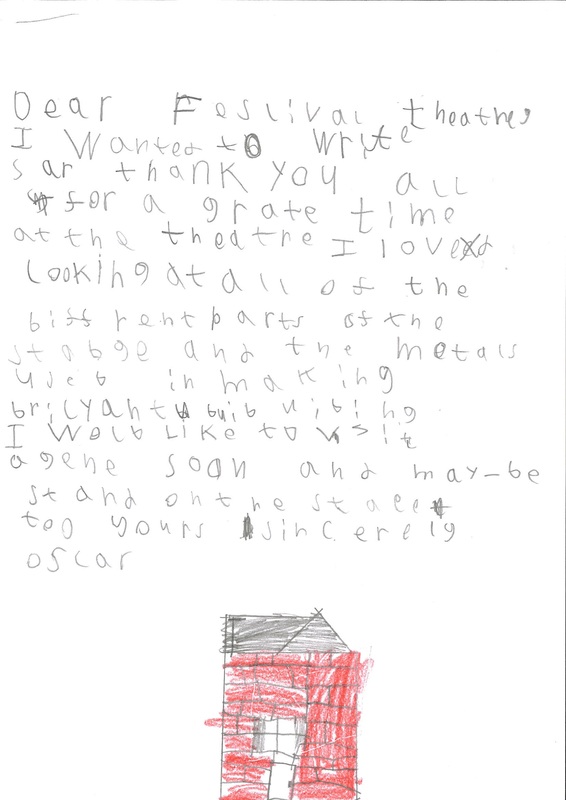 He did a great job on Owl, and the audience reaction from the children was passionate and heart-warming. A year after its premiere, I persuaded my colleagues John Gould and Bob Scott to let me use our small production company to produce OWL in London. It opened successfully at the Jeannetta Cochrane theatre, was snapped up for publication by Samuel French, and for a few years became a Christmas fixture in London and in repertory theatres up and down the country. Cameron Mackintosh became involved, and together we toured the production a couple of times. Volunteer Janet Green has worked with Pass It On on our exhibition Parklands to Performance, we’ve also been able to inveigle her in to be a project photographer documenting various achievements throughout the project. 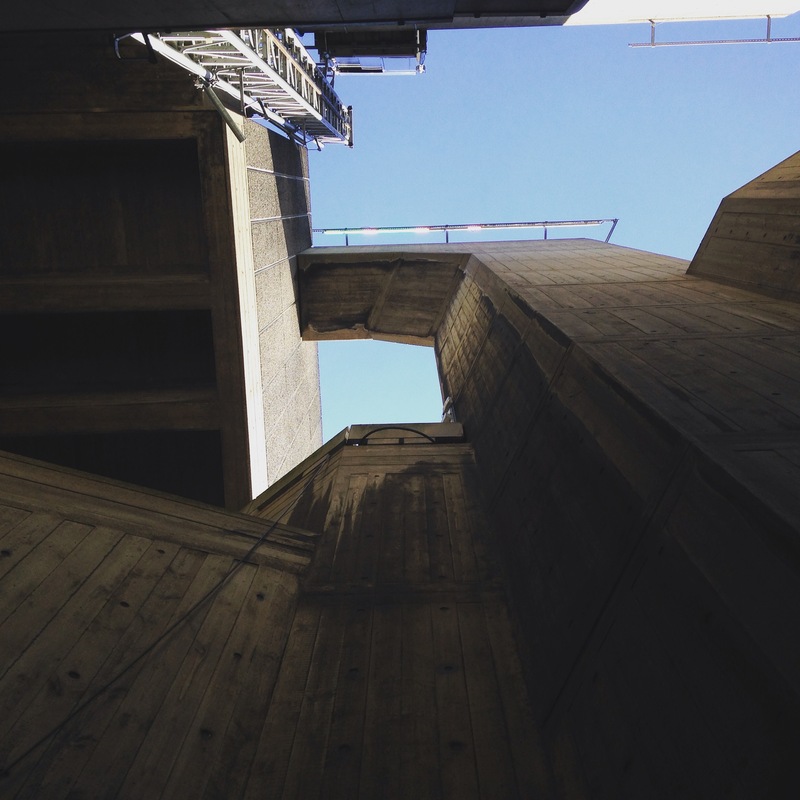 Janet recently visited John Napier’s exhibition Stages: Beyond the Fourth Wall at the Towner Art Gallery and was so inspired that she wanted to share her experience with us. In 1980, Peter Dews offered me the role of Birdie Bowers in Terra Nova, a play about Captain Scott’s ill-fated expedition to the Antarctic. This truly epic play was remarkable in that it was written for only seven actors. The playwright was a young Canadian called Ted Tally, who later achieved fame for his screenplay of the film Silence of the Lambs. My agent, John Miller, told me, with a note of surprise in his voice, that I didn’t have to audition for the role of Birdie – it was an offer. I picked up the script from the Festival Theatre Londonoffice above the Queen’s Theatre and read it with increasing excitement. Birdie was an endearing character, arguably the most good-humoured of the five who reached the South Pole after an arduous journey, only to find that Amundsen had beaten them to it. The journey home proved impossible and all died tragically in their tent, apart from Oates, who had walked out with the immortal lines, ‘I may be some time’. Ted Tally had introduced some brilliant theatrical moments. At the beginning of the second act, we all celebrated our successful venture at a special London hotel dinner party which, of course, turned out to be imaginary. The journey itself was intercut with flashback scenes featuring Scott and his wife. Our dressing room was a small hut behind the theatre, also used as a store for crates of beer bottles, and also the headquarters of the wig department. We had regular enjoyable conversations with Rosemary Harris, who had taken over from Joan Greenwood in Uncle Vanya, which had proved so successful in the first season that Olivier revived it. Few people realised at this time that Olivier was using, in the nicest possible way, Chichester to prepare for his subsequent directorship of the National Theatre. Apart from the major stars he attracted to Chichester were younger actors who were to become the nucleus of his National company. Derek Jacobi, Robert Lang and Robert Stephens were playing relatively small roles at Chichester, but would become stars of the Old Vic and eventually the brand new complex on the South Bank. To be amongst this rich array of talent, as well as familiar faces from television, was the most exciting experience I could have wished for. Being an extra was a magical opportunity to see these people working, and to feel part of it all. Even our costume fittings felt special, supervised by Ivan Alderman and his chief cutter Stephen Skaptason, who later both ran the National Theatre wardrobe. Soon after I had gained a place at Worcester College, Oxford, I was asked to be an extra in the second season – a soldier in Saint Joan and a policeman in The Workhouse Donkey. As a summer job before going to university, this proved to be a fantastic and eye-opening experience. As extras we were introduced into the productions in the final days of rehearsal. First, we were shown the set of Saint Joan with its two sets of steps descending from the back wall down into the Dauphin’s court scene. We five, plus professional John Rogers, came on three from each side, carrying a tall pike topped with a sharp-looking metal spear. The director, the no-nonsense, sharp-tongued John Dexter gave us the cues and told us where to stand absolutely still for much of the scene. Not long after, we were plunged into the first dress rehearsal. Wearing our breast-plates, helmets and woollen leggings, we made our entrance. 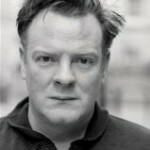 David Wood acclaimed playwright, actor, director has had an extensive relationship with Chichester and the Festival Theatre. Wood has documented this relationship in his memoir Chi and I…, which he has been kind enough to share with us at Pass It On through a series of extracts we will be posting as blogs. 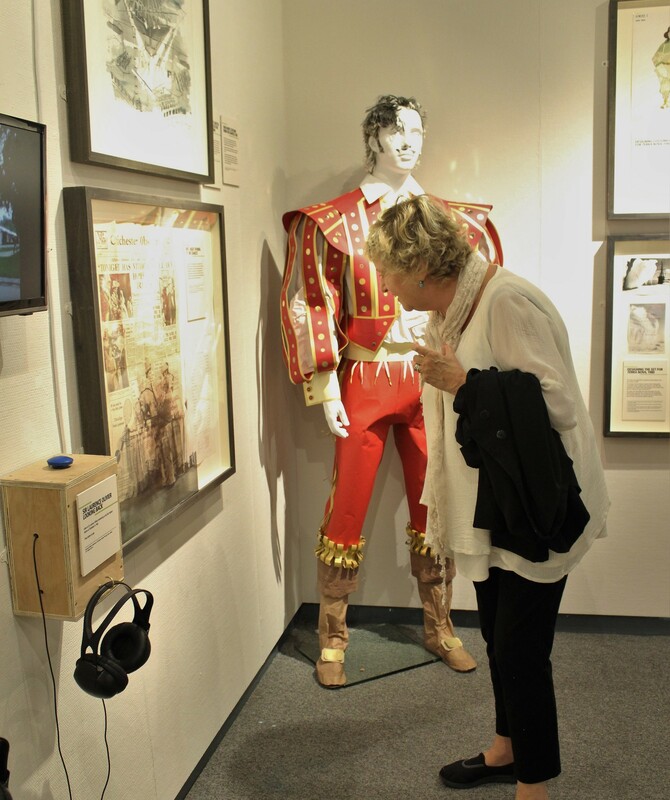 The process of curating our touring exhibition Parkland to Performance began in August 2014; in September 2015 this process is only now slowly coming to an end. Our team of eight volunteer curators decided on the content of the exhibition at the end of 2014, with focus on the founding of the Theatre and the technical elements of some of CFTs notable productions. But their work was by no means over as the exhibition has visited a range of venues across Sussex and Hampshire that vary in shape and size and have different audiences. Consequently the volunteers have returned to the Theatre throughout the year to decide how to display the exhibition and what should be added or taken away in each venue. From the start of the curation process we have documented the development of the exhibition in a number of ways including blogs on subjects such as our initial meeting and the volunteers’ experiences with the project, and also through the numerous photographs taken before, during and after the installations. Part of my job involves a fair amount of detective work (sadly no deerstalker and pipe needed – although working in a theatre means props are never far away if dressing up is called for, which of course it always is). 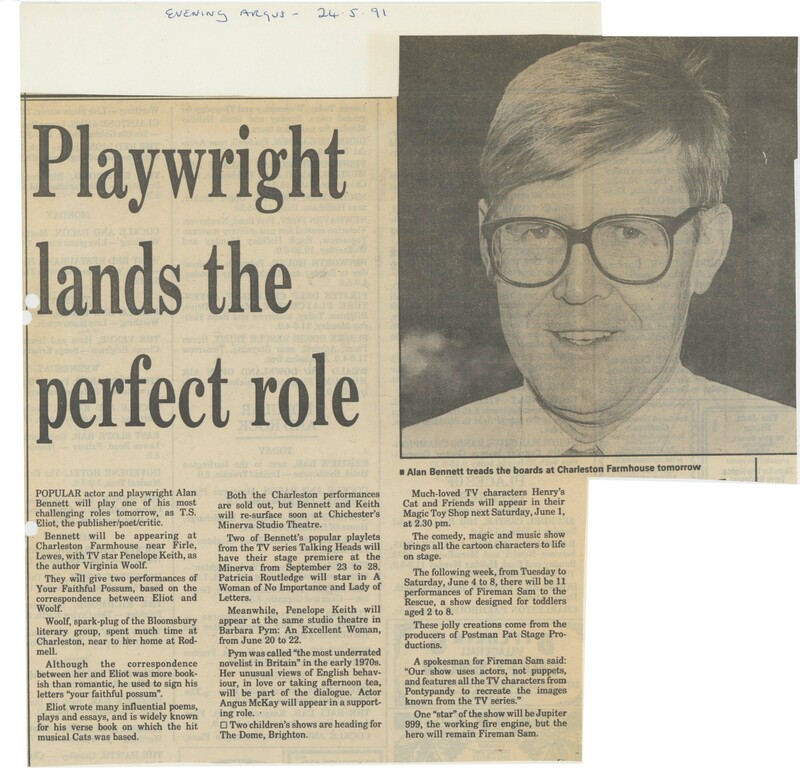 I was recently asked to track down some press cuttings regarding a production of Alan Bennett’s Talking Heads performed in the Minerva in 1991. 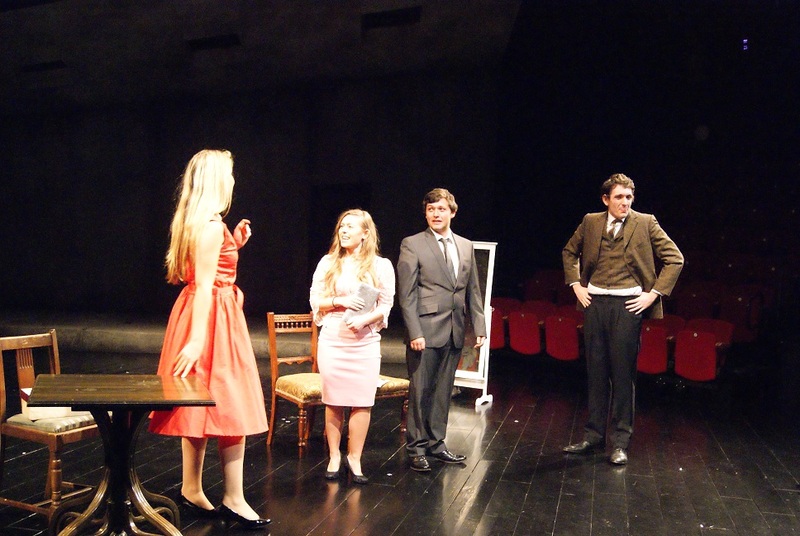 This production saw the playwright himself reading through his own monologues and pieces of prose alongside CFT stalwart, Patricia Routledge. All our press cuttings from 1970 onwards are currently organised by years (albeit non-chronological) into File Express boxes which are kept at a secure warehouse where we can recall them if we need to take a look at what’s inside. I managed to find the cuttings relatively quickly which revealed a great critical reverence to the playwright and his brave decision to perform his own work. Not only do press cuttings allow for an understanding of critical reception, but also show the breadth of press past CFT productions have attracted. Tracking which publications have reviewed shows is very interesting, particularly in terms of the reach of a regional theatre over London venues, as is looking at the social history whereby writing styles and presentation vary year to year. As lovely as these press cuttings were (and at which point I could have hung up my metaphorical deerstalker) something else in the box caught my eye. The press cuttings are generally all gathered into plastic wallets; amongst these was a rather tatty looking ring-binder folder labelled ‘PRESS CUTTINGS: 1980’. Now it’s inevitable that with the sort of work that we do, certain productions stick out for certain reasons and a play called Terra Nova is one such production – mainly because it sticks out for lots of other people. 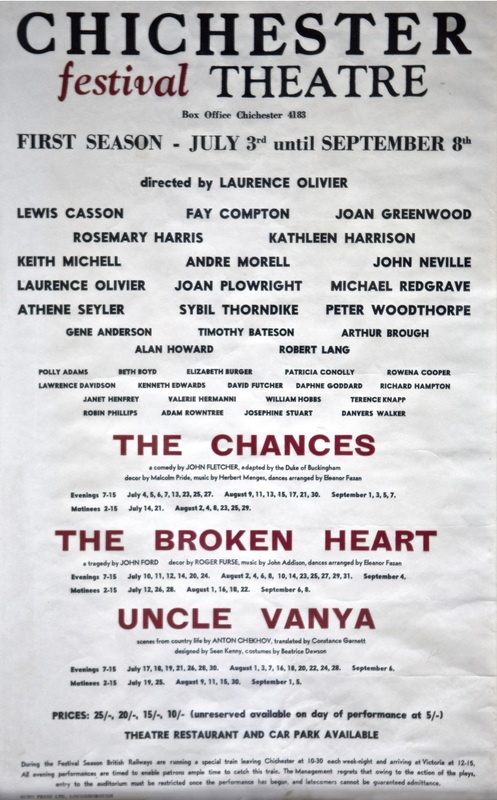 The season poster for the first season at CFT in 1962, one of the items available in the digital archive. This week marks a very exciting and important step in the Pass It On project and for Chichester Festival Theatre. Our new online digital archive is now live – meaning you can browse through heritage material and content from the Theatre’s past. This is a huge achievement as for two years now, volunteers have been scanning and editing items from our paper archive and memorabilia collection. 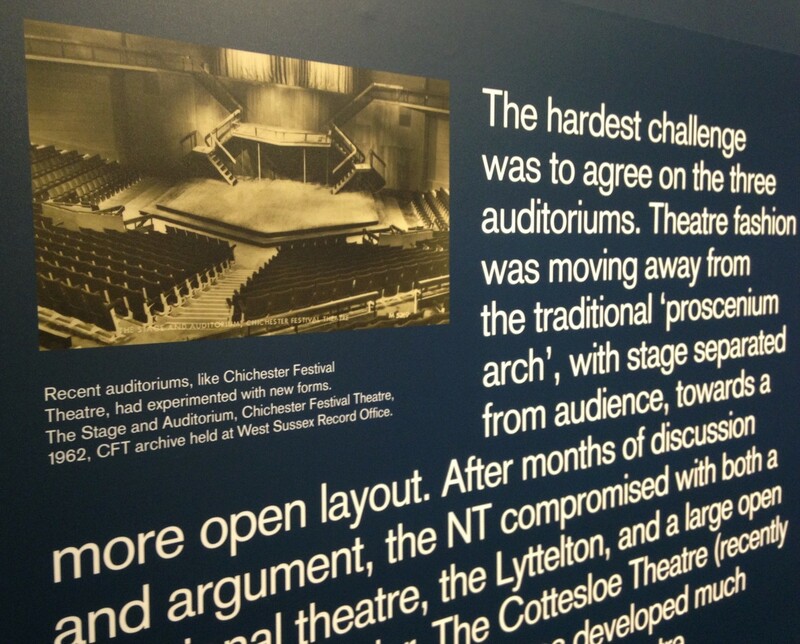 This has allowed for greater public access to the Chichester Festival Theatre archive as we can share digital content in a manner of ways, including our website and Twitter and Pinterest accounts. The idea is that the digital version of the item looks as accurate and realistic as its physical counter-part, so you don’t necessarily need to visit the Record Office for research. We’ve been working really hard to update the online archive which now allows for a much better experience when browsing through our heritage content. 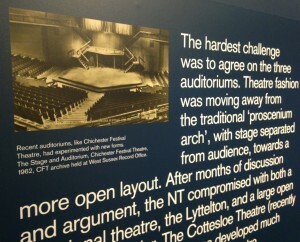 In 1986 Chichester Festival Theatre celebrated its 25th Festival season. To mark this anniversary and celebrate the city of Chichester, a production was put together telling some of the famous and infamous stories of the city. The play took its audience on a physical journey through the streets of Chichester lead by its narrator James Spershott, a joiner and diarist who lived his whole life in the area during the 18th century. 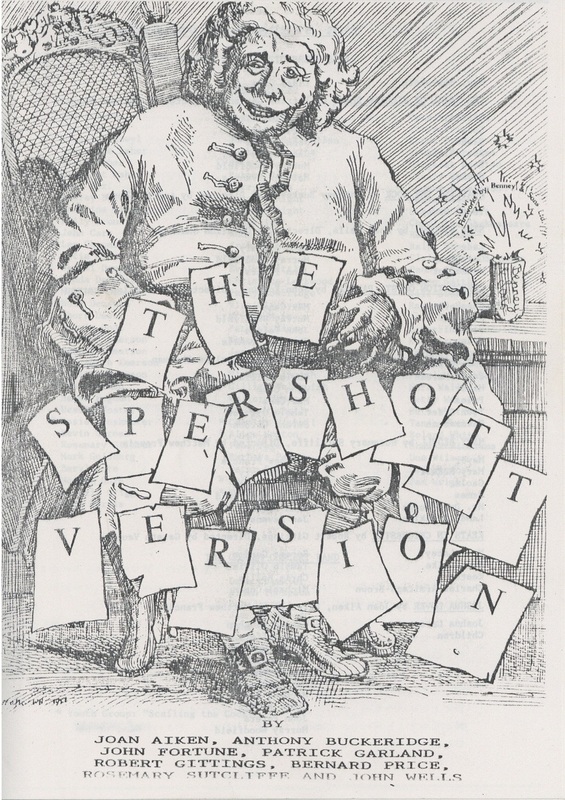 The Spershott Version was written to mark the 25th anniversary season by a handful of local authors and personalities including Joan Aiken, Rosemary Sutcliffe and former CFT artistic director Patrick Garland. The promenade piece featured stories on John Keates and William Blake and their appearances in Chichester, as well as a scene on Mary Bedell a Cicistarian wrongly accused of stealing linen from her mistress and punished with transportation. What an inspiring and creative day we all had. I never really knew anything about radio drama and I was keen to get involved when I found out we were running a radio play workshop. 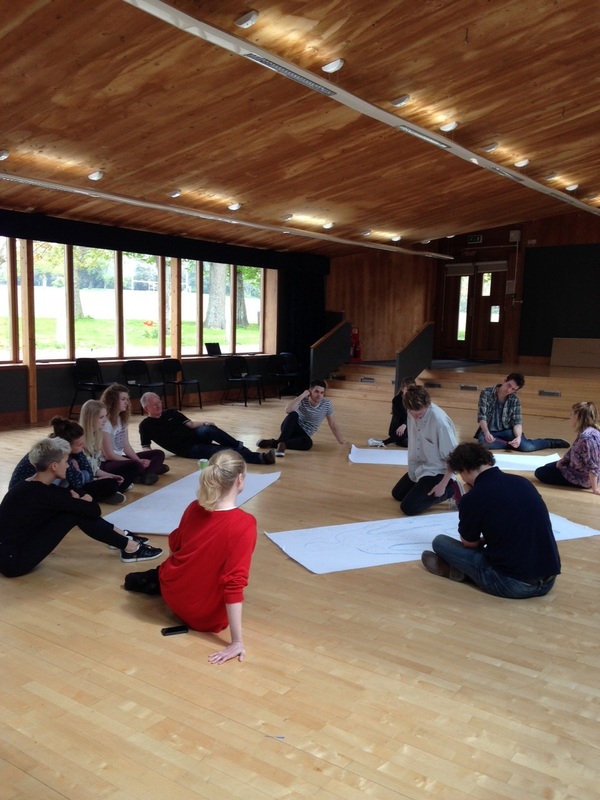 We asked a group of Youth Theatre and members of our 19+ group to come and get involved. We started the day with some bonding exercises which we all know you need to do before working intimately with other people. We had a really good group of people who all worked wonderfully together. 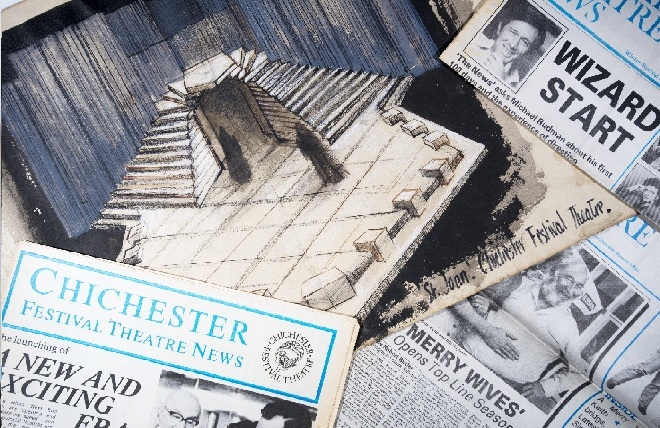 A set design drawing of Saint Joan, 1963, and various editions of Chichester Festival Theatre News. Staples, paperclips, string, plastic document wallets and cardboard folders. All those tiny decisions CFT staff have been making over the years as to how to hold together their documents have now become part of the archive conservation process – one that is taking on the qualities of a medical triage process.Metal staples eventually corrode through the paper they are in contact with. But while a few hundred could be removed without too much trouble, the thousands of staples found in a collection as large as CFT’s archive is a different matter. For now we have decided to keep those that are not corroding and only remove those eating through the corner of the documents. It is time consuming and difficult work. Reel to Reel. Revox transfer. Phrases I never thought I’d be familiar with but the Pass It On project just keeps on surprising us in terms of what kind of heritage content we have to deal with. Two small plastic bags were handed to me a couple of weeks ago. Inside were yellowing plastic reels, all wrapped up with thin, brown tape. You may know these as reel to reel tapes; before cassettes, magnetic audio tape was wound up on reels, very similar to film stock. There’s no way of listening to these reels without the aid of a Revox machine, a clunky looking device that enables the audio tape to be wound from one reel onto another, whilst passing through a system of rollers and headers that read the magnetic content on the tape, turning it into sound. Easy, right? Not when the machine is older than you are and needs specialist parts to make it work. Luckily, with the help of our Deputy Head of Sound, Alex Green, we’ve succeeded in not only getting the machine going, but using it to digitise old analogue content. As our project has progressed over the years, we have had more and more interest from researchers and the general public about our growing archive. I have received many an interesting email or phone call from a variety of people wanting answers to a question we may or may not be able to help with. It is such a joy to explore these requests; there’s a serious amount of detective work involved which brings great satisfaction. Even if an answer remains elusive, interesting things are always discovered along the way. Requests come in all shapes and sizes. Some people simply want to know “Can you remember who played so-and-so in this production from 1968?” whilst others want specific archive content to assist with dissertations and research projects. 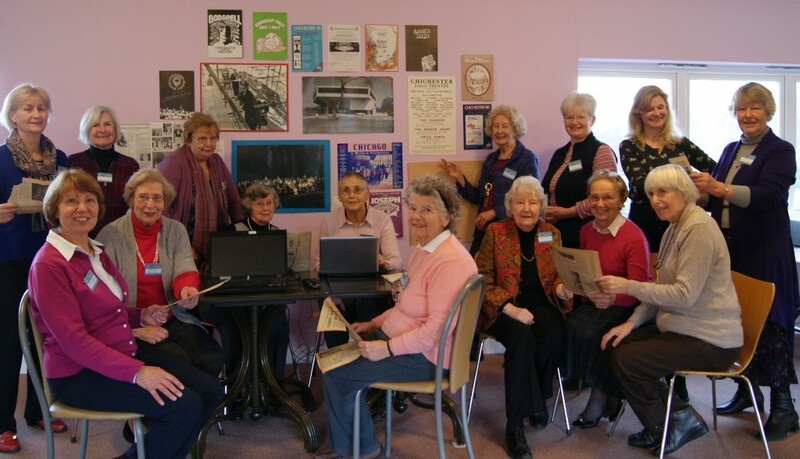 Pass It On has a spectacular team of volunteers who work on a myriad of different tasks, whether they are individuals working independently from home or groups working at the theatre. One of our volunteers, Charlotte Murgatroyd, tells us about her experiences as part of the Pass It On team. It’s Monday morning. I am off to the theatre. 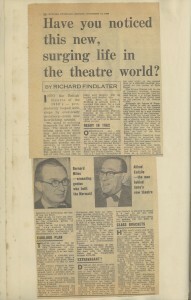 No, not to see a play but to take part in an archiving project. 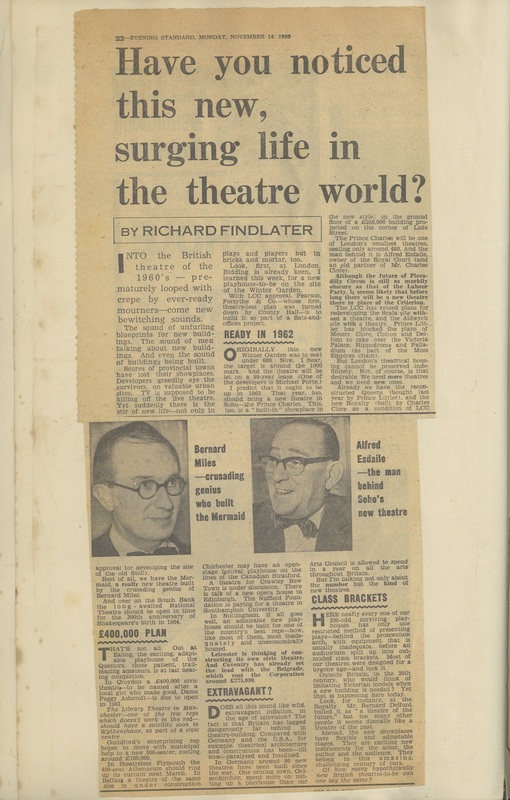 The Festival Theatre (CFT), has many scrapbooks, filled with press cuttings relating to CFT as it was in the sixties and seventies. There are two teams of volunteers from Lavant Valley DFAS (Decorative and Fine Arts Society), one works in the morning and the other one in the afternoon. We work in pairs putting data from the cutting in to an EXCEL Spreadsheet. Typical entries include the date and title of the publication from which the cutting comes, the particular production and the people concerned, followed by a précis of the whole cutting. Cuttings range from a few sentences to articles covering a page and more. As I was working my way through press cuttings released by the Chichester Festival Theatre in 1985, an odd request appeared. The producers of Cavalcade were looking for authenticity on stage. In going the extra mile so to speak, an Edwardian street scene required not only the actors of the human nature but also a monkey. Preferably alive and able to sit on top of a barrel organ in front of a live audience. I was a little taken aback by that revelation as I was unsure how many monkeys still performed this kind of work in 1980’s Britain, let alone if one was available to perform on a daily basis. However, the theatre was determined to find one. If indeed they did, I’d love to know. It is this kind of weird and wonderful information that can be found within the CFT archive held at West Sussex Record Office, which I have been cataloguing since the beginning of October. The material is held in many boxes, through which I am now spending time going through in detail. A variety of material has been found in the theatre collection including programmes, posters, newspaper articles, prompt scripts and photographs. All tell the vibrant story of productions and those who performed within them. Laurence Olivier, Derek Jacobi, Alistair Sim, Joan Plowright,Christopher Timothy, Peter Egan, Richard Briers Patricia Hodge, Patricia Routledge and so many others. Listen to Its All In The Telling, our thought-provoking panel discussion with writer and oral historian Rib Davis, writer of Taken at Midnight Mark Hayhurst and Kate Wheeler from the Archiving the Arts initiative with the National Archives, all chaired by author Kate Mosse. Why do some stories fall out of history? What makes them so fascinating to theatre makers and audiences? In 2014 Pass It On brought together a panel from the worlds of theatre, heritage and oral history to explore these themes. Inspired by the little known true stories behind some of Chichester Festival Theatres 2014 productions Pressure, Pitcairn and Taken at Midnight. We’re coming to the end of another year of the Pass It On project, and where are we? Much further than we thought we would be! The number of interviews conducted is well past what we had planned (over 40) and many of them have already been transcribed. The quality of the interviews has also been getting better and better. This isn’t because we have found better interviewees – we have had tremendously interesting people talking to us from the start – but because the interviewing technique has gradually improved. The Pass It On team of interviewers have been prepared to get together to listen to each other’s interviews not just for the content but also to examine together their interview technique. This is a rather brave thing to do, as it really is exposing to have your interview played back in front of other people to be analysed and learned from, but this is what has happened, and the results are very clear. The interviewees have been of all sorts, from one-time visitors to the long-time Director of the Youth Theatre, from people working Front of House to those who were at the heart of the organisation when it first started. There have been stories of great productions and dismal ones, of backstage support and dressing room rancour, of the town becoming tremendously proud of its theatre and at the same time the unmistakable whiff of class in some of the involvement. What emerges is a spoken history of the theatre, certainly, but we also see strong elements of a social history of the town. 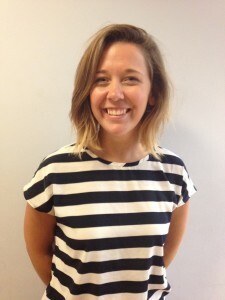 Our new Heritage Activities Trainee, Harriet! It is with great excitement that Pass It On can introduce, not one, but two new members of our team. 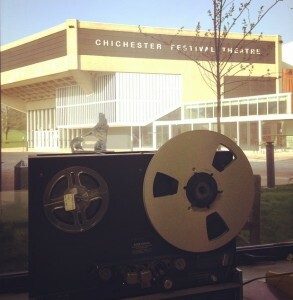 Harriet Rose will be joining us as the third Trainee working on the project, and Nick Corbo-Stewart will be based at the Record Office as our official Chichester Festival Theatre Archivist. As the Heritage Activities Team doubles its numbers to the grand total of four, I have the honour of becoming the third Heritage Activities Trainee. My predecessor, Becky, has risen to the position of Heritage Activities Officer and I’m sure will be keeping a watchful eye over me to ensure I maintain her high standards! Having previously worked with the National Trust creating school courses and family events, I am passionate about helping people access and learn more about our Great British Heritage. 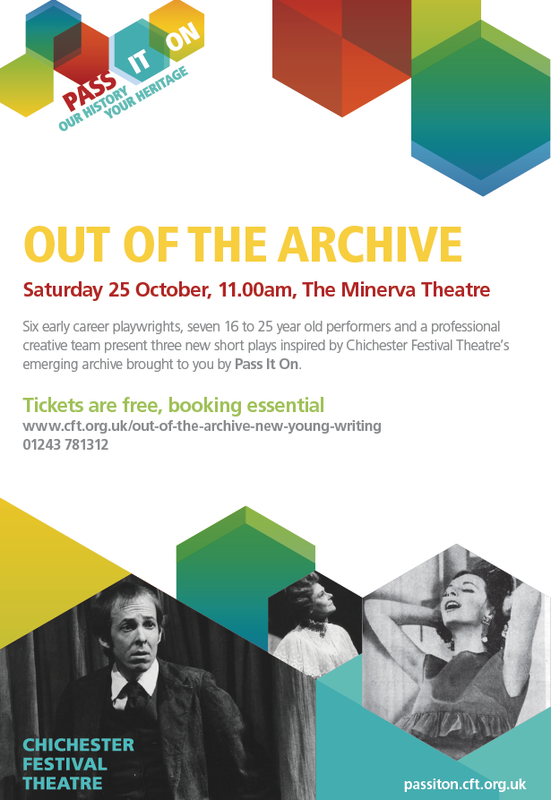 I have studied Drama at the University of Winchester and Design for Performance and Events at the University for the Creative Arts, and therefore working with Chichester Festival Theatre on the Pass It On project indulges all my interests. As I write this I am ending my second day in this role and feel I have only just witnessed the tip of the iceberg of this huge and exciting project. Over the next year I will be working in this newly formed quartet along with all the other members of staff at Chichester Festival Theatre and of course all the great volunteers who help make this project possible. Time to get stuck in.